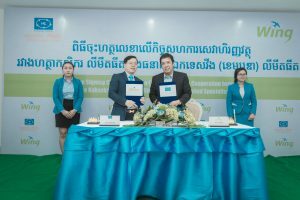 Phnom Penh, 27 January 2018: Cambodia’s leading mobile banking services provider, Wing, has teamed up with Mastercard, the worldwide payments and technology​ company, to offer customers a new card experience. The Wing Online Mastercard gives customers the power of instant, accessible and secure spending all within a few clicks on their mobile phones, opening up a new world of international shopping for even those who don’t have a bank account. Wing believes that everyone should be able to experience the convenience of a Mastercard, in line with its vision of financial inclusion. In a few simple steps, the online card is downloaded and customers can shop instantly, with no need to wait for clearance. An Wing Online Mastercard gives Wing customers a ticket to a global marketplace, opening up exciting cashless shopping adventure in an instant: from buying clothes and tickets for the latest big movie releases to booking holiday flights and hotels. Wing Mastercard Online can be enjoyed at home and abroad. Along with thousands of merchants around the globe, the card can be used in Cambodia with local partners. Browse and buy from major online shopping platforms including Amazon, Alibaba, AliExpress, Taobao and eBay. As it’s a prepaid Online Mastercard, there’s no need to worry about going over your credit limit either, ensuring peace of mind. With worldwide access, convenience, security and ease, shopping will never be the same again. 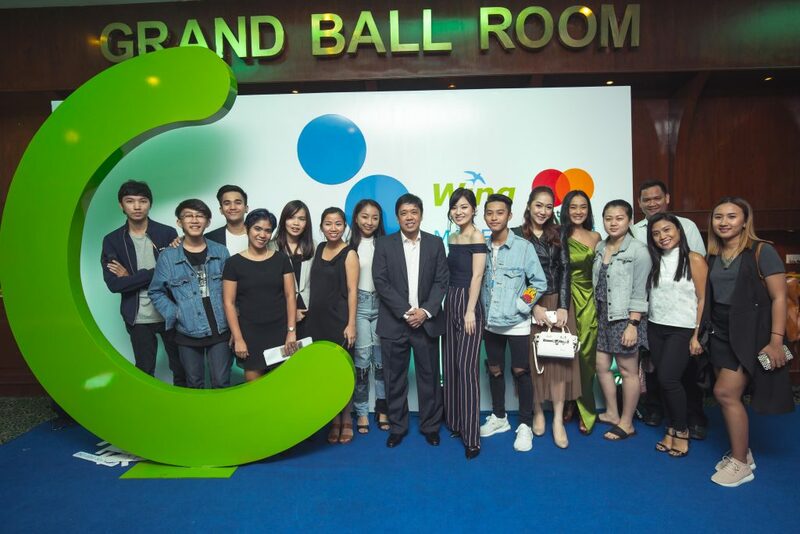 “Wing has listened to what our customers want: innovative products that are easy, instant and accessible for all.” said Jojo Malolos, Wing’s Chief Executive Officer. Mr. Arn Vogels, Country Manager Mastercard Indochina said: “We are delighted to be working with Wing, a Cambodian company that, like Mastercard, has big ideas and together we can make a difference. Wing’s Online Mastercard works exactly the same way as a real payment card with the same benefits. Customers simply keep money in their Wing account and start shopping at any online store displaying the Mastercard logo. No waiting, no queues and no fuss. Shopping made easy with Wing and Mastercard. * Safe and secure. Peace of mind with Wing and Mastercard’s high level of security. * Local and international merchant partners. * Transaction history to keep track of purchases via the Wing App (available on iOS and Android) allowing customers to be in control of their money. * Connect with PayPal and other payment platforms. * Browse and buy on major platforms Amazon, Alibaba, AliExpress, Taobao and eBay. * Special offers and promotions. Wing’s Online Mastercard is the answer. This is just the beginning of the Wing and Mastercard partnership. There are more developments planned for this year to enhance the customer experience.